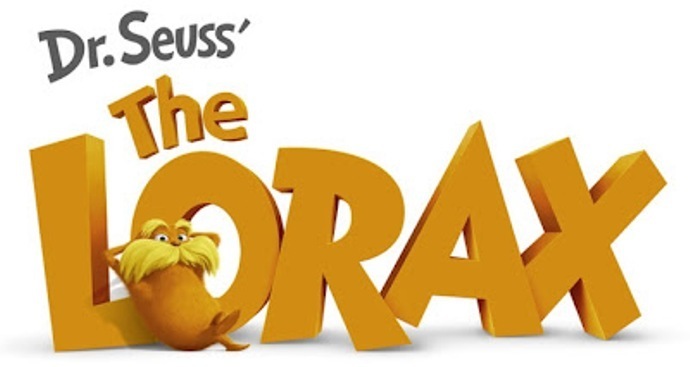 The Lorax movie looks pretty adorable, judging from the previews. Don't know if I'm going to see it in theaters (I tend to shy away from going to kid-packed movies), but I look forward to borrowing the DVD! I love the film's soft and colorful animation. 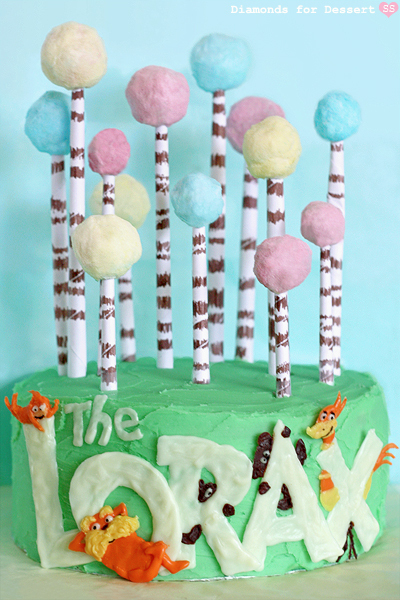 The truffula trees look nice and fluffy, like cotton candy, which is what inspired me to make this cake. 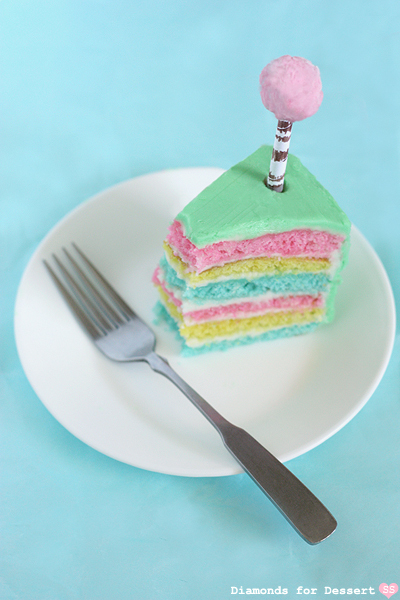 I thought a multicolored layer cake decorated with cotton candy truffula trees would be cute, with the color of the cake layers matching the colors of the cotton candy. It's a basic white cake tinted pink, blue, and yellow (inspired by Whisk Kid's Rainbow Cake). To finish, I altered one of the posters for The Lorax movie to feature not only the Lorax, but also some Swomee-Swans, Bar-ba-loots, and Humming-fish to make a colorful decoration for the side of the cake.